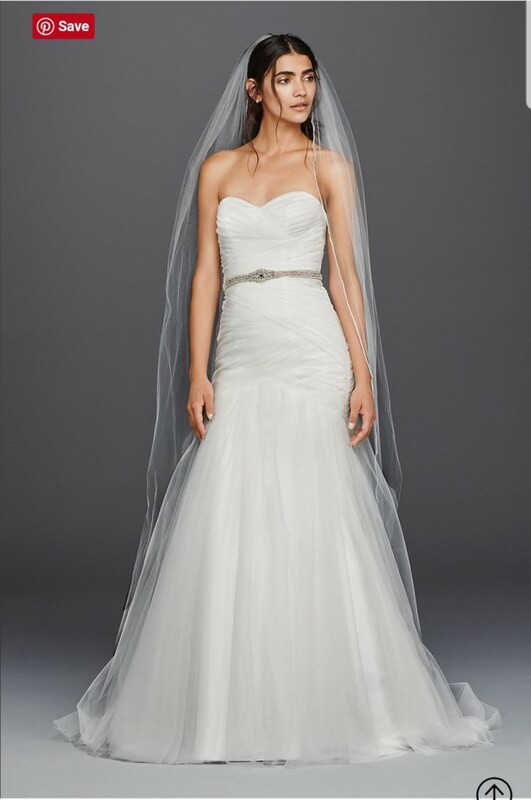 From the sweetheart neckline to the ethereal tulle skirt, this strapless mermaid wedding dress is as lovely as can be. Ruching from the bodice through the hips and a lace-up back create a figure-flattering effect. Once you send a message, Abida can invite you to purchase the dress.